Extension back and away from the ball on the takeaway is important to set the full, powerful arc of your swing. But just as important is extension through the ball at and after impact, to keep the club on line for a squarely struck, accurate shot. 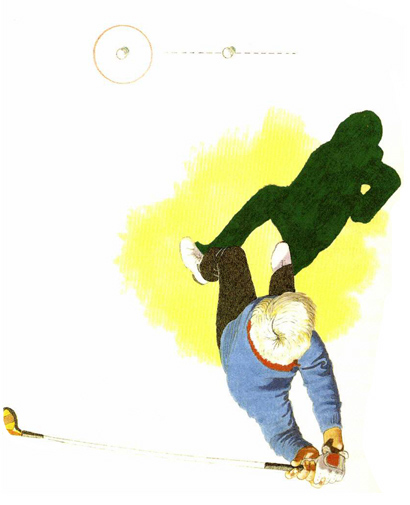 If you tend to 'quit' at impact, or if your wrists sometimes break down and you pull the club quickly to the inside, then pretend that you're hitting not one ball but two. Imagine a second ball, approximately 50 centimetres forward of the actual ball and on a straight line from the actual ball to your target. Then, try to 'hit' that second ball as well as the real one. This exercise will ensure that you extend your arms and club properly through impact.